What is the cheapest way to get from Ceglie Messapica to Lecce? 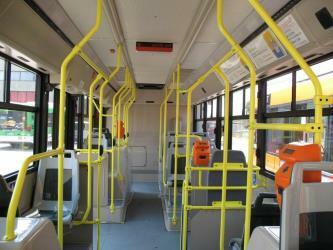 The cheapest way to get from Ceglie Messapica to Lecce is to bus which costs 4€ - 7€ and takes 2h 25m. What is the fastest way to get from Ceglie Messapica to Lecce? The quickest way to get from Ceglie Messapica to Lecce is to taxi which costs 85€ - 110€ and takes 1h. 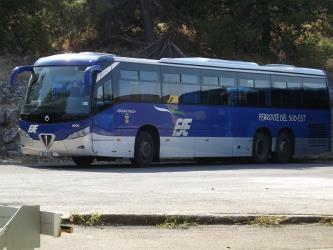 Is there a direct bus between Ceglie Messapica and Lecce? Yes, there is a direct bus departing from Ceglie and arriving at Lecce. Services depart twice daily, and operate every day. The journey takes approximately 2h 25m. 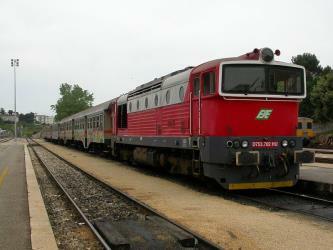 Is there a direct train between Ceglie Messapica and Lecce? Yes, there is a direct train departing from Ceglie Messapica and arriving at Lecce. Services depart five times a day, and operate Monday to Saturday. The journey takes approximately 1h 59m. How far is it from Ceglie Messapica to Lecce? The distance between Ceglie Messapica and Lecce is 64 km. The road distance is 76 km. How do I travel from Ceglie Messapica to Lecce without a car? The best way to get from Ceglie Messapica to Lecce without a car is to train which takes 1h 59m and costs 5€ - 8€. How long does it take to get from Ceglie Messapica to Lecce? 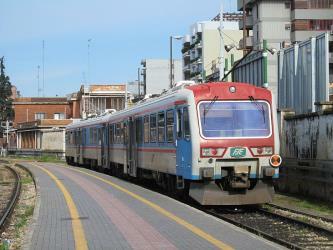 The train from Ceglie Messapica to Lecce takes 1h 59m including transfers and departs five times a day. Where do I catch the Ceglie Messapica to Lecce bus from? 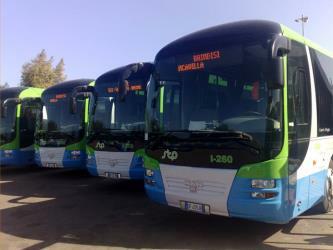 Ceglie Messapica to Lecce bus services, operated by Società Trasporti Pubblici Brindisi SpA, depart from Ceglie station. Where do I catch the Ceglie Messapica to Lecce train from? 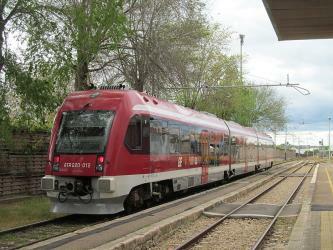 Ceglie Messapica to Lecce train services, operated by Ferrovie del Sud Est e Servizi Automobilistici, depart from Ceglie Messapica station. Train or bus from Ceglie Messapica to Lecce? The best way to get from Ceglie Messapica to Lecce is to train which takes 1h 59m and costs 5€ - 8€. Alternatively, you can bus, which costs 4€ - 7€ and takes 2h 25m. What companies run services between Ceglie Messapica, Italy and Lecce, Italy? Ferrovie del Sud Est e Servizi Automobilistici operates a train from Ceglie Messapica to Lecce 5 times a day. Tickets cost 5€ - 8€ and the journey takes 1h 59m. 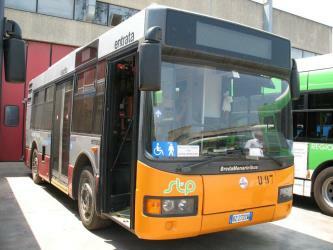 Alternatively, Società Trasporti Pubblici Brindisi SpA operates a bus from Ceglie Messapica to Lecce twice daily. Tickets cost 5€ - 7€ and the journey takes 2h 25m. Ferrovie del Sud Est e Servizi Automobilistici also services this route twice a week. Where does the Ceglie Messapica to Lecce bus arrive? 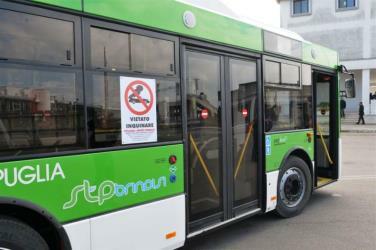 Ceglie Messapica to Lecce bus services, operated by Società Trasporti Pubblici Brindisi SpA, arrive at Lecce station. 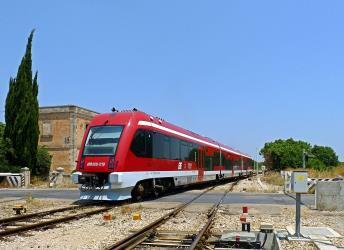 Where does the Ceglie Messapica to Lecce train arrive? Ceglie Messapica to Lecce train services, operated by Ferrovie del Sud Est e Servizi Automobilistici, arrive at Lecce station. Can I drive from Ceglie Messapica to Lecce? Yes, the driving distance between Ceglie Messapica to Lecce is 76 km. It takes approximately 1h to drive from Ceglie Messapica to Lecce. Basilica di Santa Croce (Italian, Church of the Holy Cross) is a Baroque church in Lecce, Apulia, Italy, completed in 1695. Nardò is a town and comune in the southern Italian region of Apulia, in the province of Lecce. In 2014, it had a population of 20,766. The Castle of Charles V (Italian: Castello Carlo quinto; Leccese: Castellu Carlu Quintu), also known as the Castello di Lecce, is a castle in Lecce, Italy. It was first built in the Middle Ages, and was strengthened by Charles V in 1539, to a design by the architect Gian Giacomo dell’Acaya. To build this fortress two constructions were pulled down: the Chapel of the Trinity and the Monastery of the Benedictine Order of the Saint Cross. The castle did not have only defensive functions, in the 18th century one of its rooms was used as a theatre. From 1870 to 1979 it was used as military district. Nowadays it is the seat of the Cultural Affairs of the township of Lecce, a backdrop for many cultural initiatives. Visitors can remain charmed with the delicate ornaments of the interiors: the capitals and the decorated big room, with imposing big stained glass windows. The rooms of the upstairs are sustained by imposing stone columns. There is a legend linked with this castle: it tells that the family which owned this castle in the 14th century, the Orsini del Balzo family, kept a white bear in the moat of the castle. This animal was a status symbol and, at the same time, it scared prowlers. Rome2rio makes travelling from Ceglie Messapica to Lecce easy. Rome2rio is a door-to-door travel information and booking engine, helping you get to and from any location in the world. Find all the transport options for your trip from Ceglie Messapica to Lecce right here. Rome2rio displays up to date schedules, route maps, journey times and estimated fares from relevant transport operators, ensuring you can make an informed decision about which option will suit you best. Rome2rio also offers online bookings for selected operators, making reservations easy and straightforward.